Tactical Medicine is approached in three stages. Each stage’s medical interventions are tailored to the tactical problem, threat level and available equipment. As the tactical situation stabilizes, we have access to safer working areas, more complex interventions and more gear for those interventions. The layers that you plan and pack for your medical equipment must compliment this reality. During Care under Fire (CuF), the tactical situation is still active, meaning you are engaged in combat or under an impending threat. Accurate fire superiority and simple quick medical interventions are the most viable forms of treatment at this time. The only equipment available to a responder, at this time, would be the casualty’s tourniquet and his or her own hands. Stopping life-threatening extremity bleeds with a tourniquet and use of recovery position are the only interventions done during this phase. These are simple and rapidly executed interventions that will save a good portion of battle casualties. Soldiers should carry their tourniquets within the ‘Diver’s Triangle’. The diver’s triangle is the area between the shoulders to the belt buckle. That way, no matter what position the casualty is in, it is easily accessible for self-application. It should be stored ready for one-handed application in a dedicated marked tourniquet pouch that protects the tourniquet from the elements, UV degradation and dirt. This also ensures a standardized location and a viable tourniquet readily available for buddy application. There is an oft-taught situation-dependent transient phase of care called ‘The Tactical Field Care Bubble’. 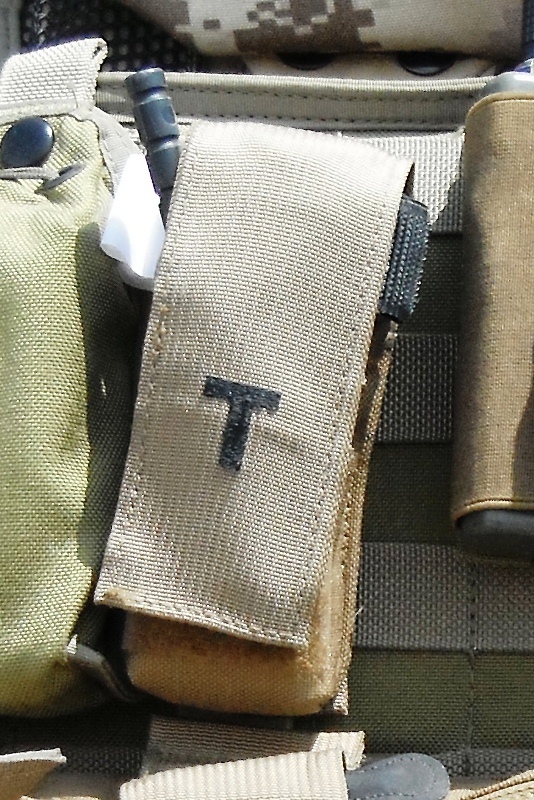 The concept was first taught to me during TACMED instructed by CTOMS™. It is a controversial concept that requires more than a blog post to fully comprehend and implement. It also needs to be worked into SOPs at a team or element level, much like tactical rescue. During this stage of care, the only gear available to the trained responder would be the casualty’s IFAK (CTOMS™ SlimLine™) and his dedicated treatment pouch. The 1st line treatment pouch, like the CTOMS™ FrontLine™, carries enough medical interventions for at least one serious patient. The interventions are usually limited to the MAR portions of the MARCHE casualty treatment protocol. Life-saving interventions only. 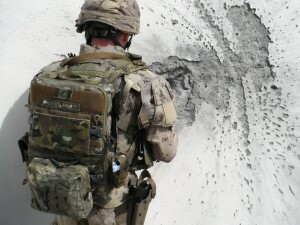 Using a leg bag or vest mounted 1st Line pouch allows the rescuer to make prompt limited interventions within ‘The Tactical Field Care Bubble’ and still is able to defend himself and the casualty or make movement in a rapid military manner. 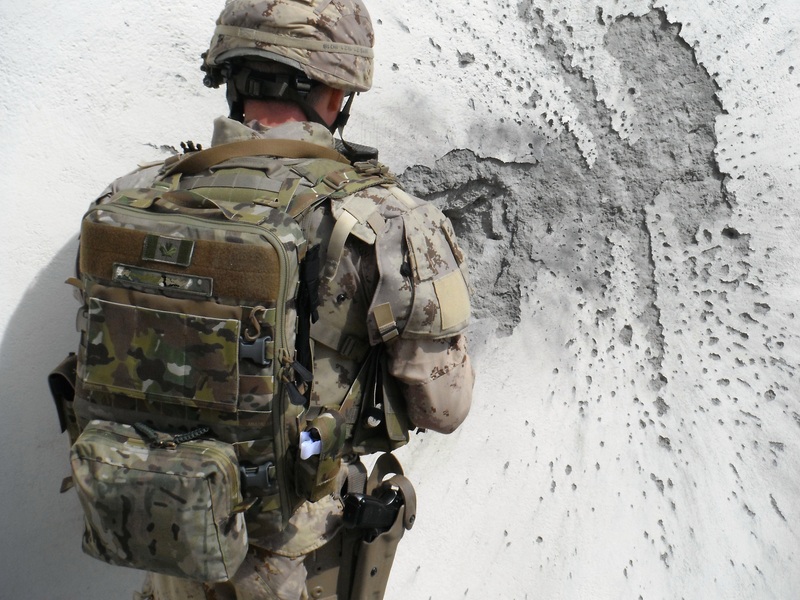 Tactical Field Care (TFC) is the conventional concept of casualty care. A Casualty Collection Point (CCP) is secured, casualties are brought there where medics and other responders set to work treating them in priority. During TFC, the medic or responder has much more gear available to them. The most important of which is the 2nd Line™ Med Bag. A properly packed 2nd Line™ will have enough interventions and supplies to treat the entire MARCHE protocol including analgesic, antibiotics, vascular/intraosseous access and fluids. 2nd Line Bags should be pack with more hardware than software, meaning hard interventions not bandages and packing. 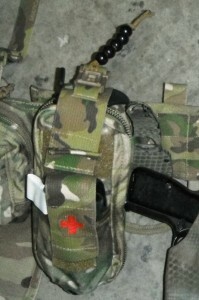 IFAKs and TCCC kits carry more than enough hemorrhage control equipment especially with proper mission medical planning. 2nd Line packing needs to match the threat and the mission. An armoured company medic will carry more burn dressings and airway interventions due to the threat of burning vehicles and inhalation injury from chemicals burning. An infantry dismounted medic will pack lighter with multi-purpose equipment than a mechanized infantry medic. I have used both the CTOMS™ 2nd Line™ Main Pack and the CTOMS™ 2nd Line™ Assault Pack Module in this role. Their modular internals allow the contents to be easily tailored to the mission and the gear available. Unless there is a gunfight in a surgical suite, all combat casualties will require evacuation to a surgery capable hospital or trauma centre. Thus, Tactical Evacuation Care (TEC) is the final stage of tactical medicine. During the TEC, the responder not only has more gear available to him, but there will be more hands to help. Evacuation platforms, be it armoured ambulance or helicopter, bring trained medical personnel to the fight. They will be able to maintain all interventions and possibly have a higher level of medical training. Sometimes units must clear casualties with organic vehicles to the helicopter landing zone or a link up point for ground evac. This is a scenario when a properly packed 3rd line bag will be important. A 3rd Line Bag will include equipment primarily for evac, patient stabilization and to support previous interventions done during the TFC phase. Traction splints, C-Collars, larger volumes of fluid and packaging materials are examples of gear that should go into your 3rd Line or vehicle kit. A 3rd line med bag should also have stores and gear to support MASCALs. A good triage kit and extra hemorrhage control are always welcome when dealing with multiple casualties. This is also the bag were you stash your sick parade bundle, unless on extended dismounted operations. A vehicle kit or 3rd Line can be packed heavy as it is follow-on kit and is not carried. In the past, I have set up my CTOMS™ 2nd Line™ External Module to fulfill this duty. It worked out well as I could run my CTOMS™ 2nd Line™ Main Pack as my med bag for dismounted work. But when mounted, I made use of both modules as a complete compact package. 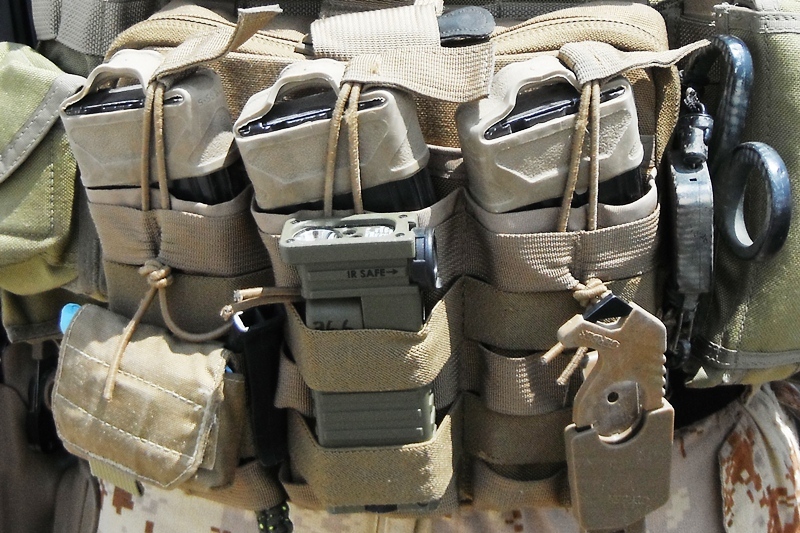 Layering your medical responses to the harsh realities of combat and other tactical operations keeps you light, mobile and an effective medical operator. It ensures that you will have the right intervention at the right time.